Stock up with this “hot chips” deal on Amazon! Hurry and get the Frito-Lay Fiery Mix Variety Pack, 40 Count today for $15.98 as low as $10.08 from Amazon when you clip the $3.50/1 coupon & choose Subscribe & Save with at least 5 subscriptions in one month. That’s just 25¢ per bag! Check out all of the Amazon deals here! Want it sooner? Choose one-time purchase & pay $12.48 (31¢ per snack). Amazon Prime members get FREE 2-day shipping!! If you are not a Prime member, get FREE shipping when you purchase $25 or more of eligible items across any product category. 5 flavors to choose from, with 8 of each flavor! 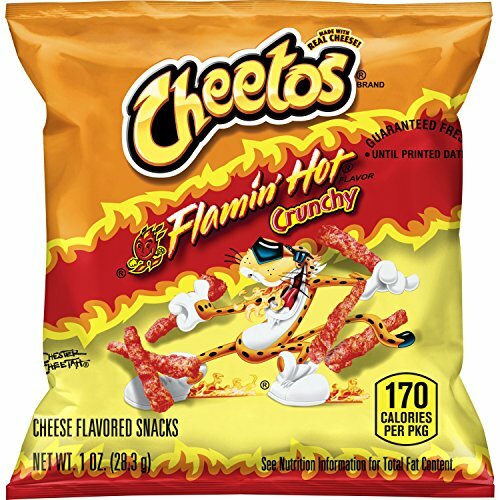 All your favorite traditional cheese-flavored snacks now have an added layer of Flamin’ hot flavor. Frito-Lay Fiery Mix Variety Pack provides the perfect portion size and variety to keep your entire family happy. From the pantry to the lunch box, all you have to do is grab a pack and go! Buy the Frito-Lay Fiery Mix Variety Pack, 40 Count from Amazon.